[dropcap style=”font-size: 60px; color: #0099FF;”]W[/dropcap]hen I set out to write an article for the Podium, like many I decided to write about my experiences as a Sister. Looking back, I’ve had quite the wild ride since joining the sisterhood. It all led to this past year – being the Vice President of Membership of the Zeta Upsilon chapter of Tau Beta Sigma and going through one of the most difficult yet rewarding experiences I have ever had. I had no idea how different a year as an officer in the Sisterhood could be, but with this past year complete I can say that I’ve gotten to experience life as a sister in four different and enriching ways. Firstly, like all Sisters I as a Membership Candidate (MC). This experience was the most eye-opening, and something I can guarantee I would not be the same person I am today without. My MC class developed a bond that I know will last forever. The people that I became a Sister with will always be in my life, and I know that I can count on them to be there for me no matter what. Following my MC experience, I saw the process from the other side, finally as a Sister. I had no idea how different it was to be on the other side of a process, to be the one with the answers. I went through in the Fall of 2009, and our chapter did not take a Spring 2010 class, so the class of Fall 2010 was the first time that I got to see the activities and ceremonies from the perspective of an active member. I loved being able to watch as the process went on, knowing what was coming up next, and it was exciting to be in the loop for what seemed like the first time. With our Spring 2011 class I was privileged enough to be the Assistant Membership Educator. I enjoyed getting to know and help our small class of three MCs with their tests and interviews. Plus, making paddles was more fun than I could have imagined. Being a part of the process in that way was not only very fun, but it helped me to realize that being a part of the membership process was something that I wanted to keep doing very badly, which led to me running for the position of Vice President of Membership. In Fall 2011, I saw the process through the eyes of the VPM. I had been elected to be in charge of the very process I had admired through three different perspectives as an active and now it was my turn to direct that process. It might seem like it is no different than seeing the process as a Sister or as an assistant to the VPM, but I can tell you from first-hand experience that it was entirely different. 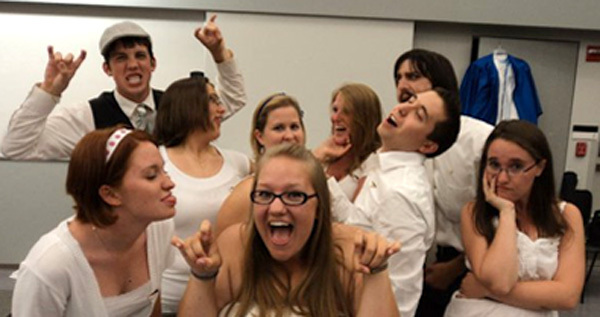 I was more hands on than I had ever been, and guiding these new members through the process helped reinforce the importance of the ideals of Tau Beta Sigma, and how they can be used in daily life to shape yourself into a good person. Being the one to administer the tests, make sure that the MCs knew their information, participate in ceremonies and run MC activities was difficult, but I wouldn’t change it for the world. Seeing the delight of our chapter’s candidates – or “my babies” as I came to refer to them – as they discovered new things about the Sisterhood reminded me of how life changing my MC process was. 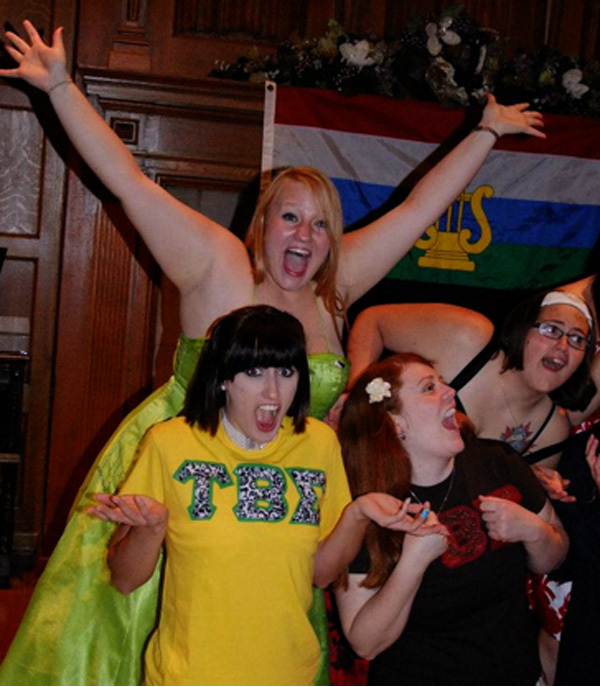 The whole process of bringing those experiences to a new generation of sisters in my chapter was incredibly rewarding. Spring 2012, I was not only VPM, but I also took a “Little Sister”; I became a mentor both to an entire class of individuals as well as to someone who would be looking up to me as a close personal confidant. Needless to say, it was a completely different experience still and one that I absolutely loved. It was both scary and exciting to know that I was directly responsible for the experience another MC had, and that it was my job to not only guide my six wonderful MCs, but also my amazing Little personally through the 8 week process. These seven incredible individuals absolutely kept me on my toes, and I couldn’t ask for a better Spring class. I am so proud of all of them and incredibly excited to call them Sisters. Being a part of the membership process in different ways has opened my eyes to how amazing Sisterhood really is and even if I had the choice to, I wouldn’t change any of my experiences. 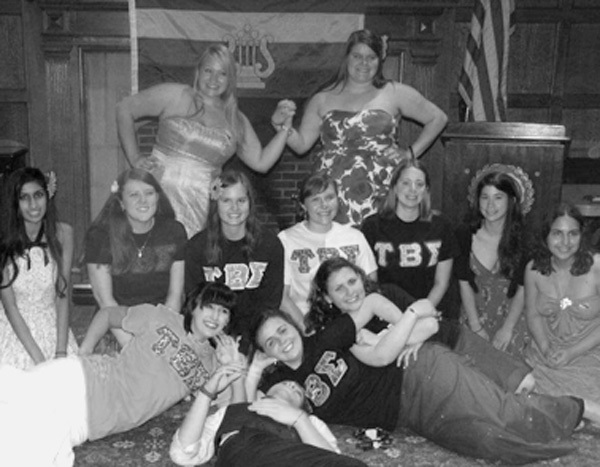 I would suggest to any new, or old, Sister to get involved as much as possible in the membership process, because helping to guide new members and bring the light of Sisterhood to them is life changing, and will reinforce the bond that you created when you became a Sister however long ago it was. It truly is a bond that will never break.